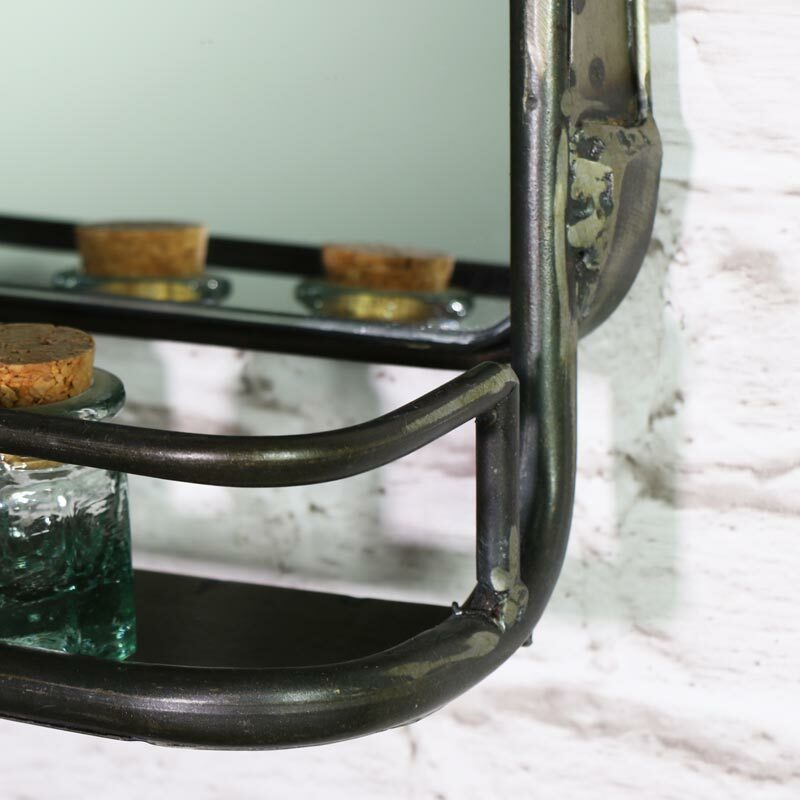 This grey, rustic, industrial style wall shelf is perfect for hanging in the living room, hallway or bathroom. In a rectangular shape with a shelf, this really adds a little difference to a room. With a handy little shelf, it is the perfect place to store your perfume bottles, make up and accessories or even to display your ornaments and candles with the mirror casting a great reflection. 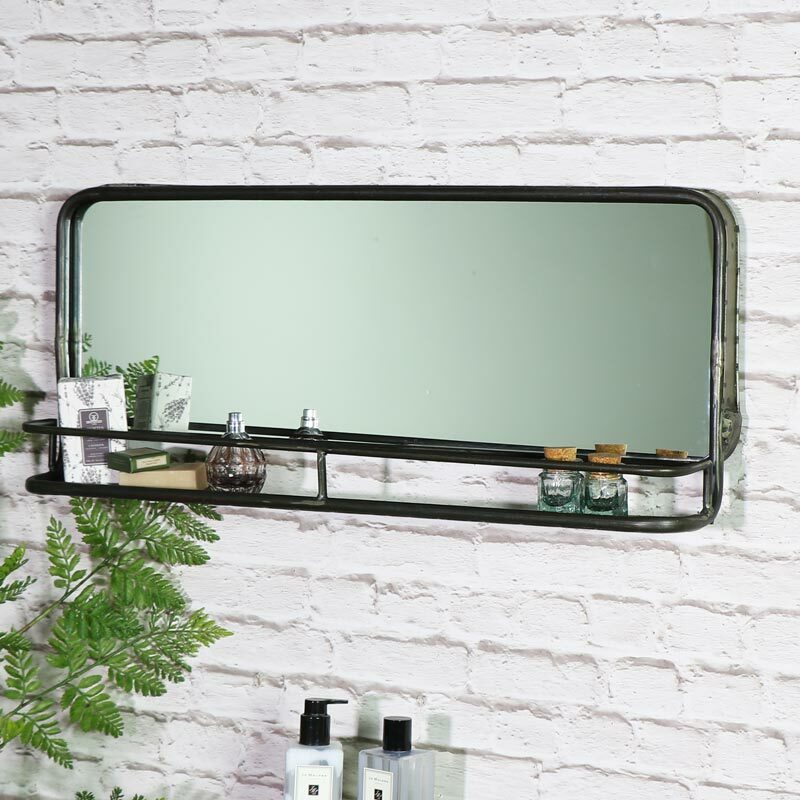 This wall mirror really is the best way to add a little vintage, retro style to your home. 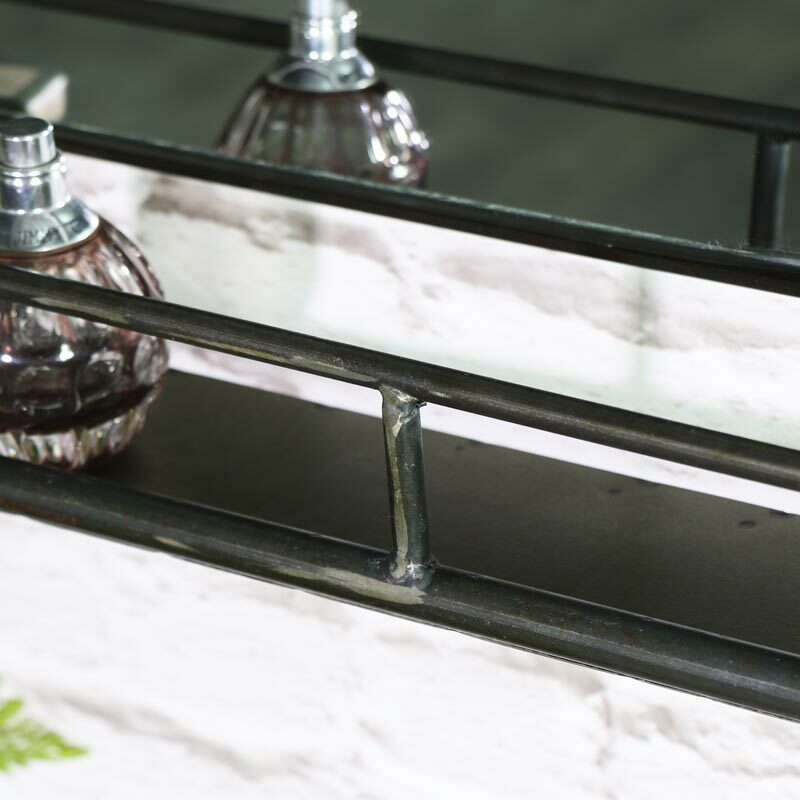 Constructed with a metal frame in a grey rustic, industrial finish with distressing. Easily wall mounted with 2 holes on the back for attaching to wall hooks. Part of our extensive range of wall mirrors. Every shape, size and style imaginable, we have just the right mirror for your home.